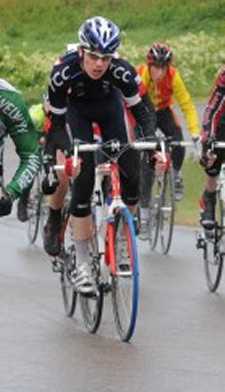 Another great win for Tom Bell this weekend at Fowlmead, beating amongst others Tour Series rider Billy-Joe Whenmen! 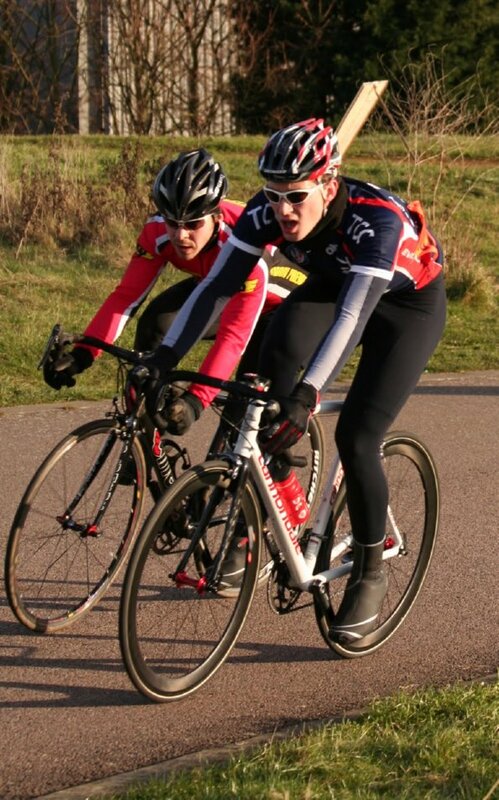 "Having liked the Fowlmead circuit when Tom Sutherland, George Kirkin and I raced there as part of their winter league, Tom and I made the trip again this weekend for the first of their summer series of races. Fowlmead is a nice purpose-built 3.5km circuit with a slight uphill drag about 250m from the finish, and is quite exposed and windy as it's on the top of a hill. Tom S and I were in the 1/2/3 race, but there was also a 4th cat race running on the circuit at the same time starting about a minute behind us. This time we arrived with plenty of warmup time and got a couple of laps in before the race started - unlike the last visit where we got halfway round our warmup lap and had to TT it to the start! We had agreed on the way down that we'd both try and get in a break, and try to go in the first 20 mins or so. As usual, the race didn't really unfold as we'd planned!! As soon as we pulled away from the start line, one guy attacked and went off up the road, establishing a gap of a couple of hundred metres fairly quickly. 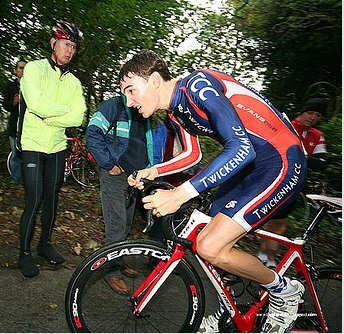 The bunch was strung out, but not really chasing, with Tom S giving himself a bit of a warmup near the front. 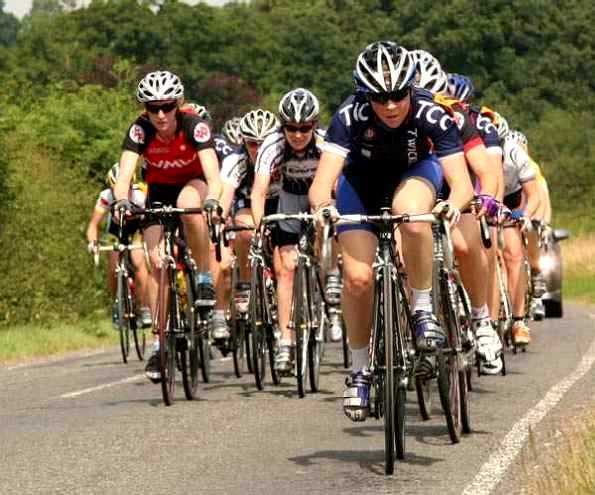 I was about mid-pack, and saw Mark Ottaway (VC Meudon) flying down the right hand side of the bunch to attack. 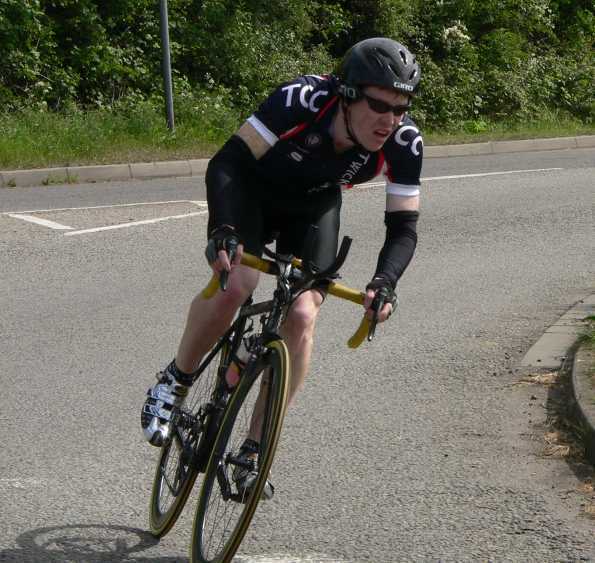 Having seen Mark do well in previous races (he won at Fowlmead last time we were there) I decided to attack down the left-hand side of the bunch, and we came together off the front and worked together to bridge the gap to the lone guy off the front. As we were nearing the race leader, another two guys bridged up to us, and we spent the majority of the race working reasonably well as a 5 to extend our gap over the field. About 2/3 of the way into the race, a couple of the people in the break were starting to tire and sitting on the back, much to the chagrin of the guy who had been solo to start with. He attacked the break and we dropped one of the guys, but after that started working together much better than we had been before. We lapped the 4th cat race with about 5 or 6 laps to go, but our time gap to the 1/2/3 bunch was starting to come down slightly. We kept on working together, and had 'agreed' to work together up until the last bend, where we'd duke it out for placings. During the last 2 laps, the teamwork started to fall apart a bit, and there were a couple of attempts to shed people from the break, although nothing stuck. With about 1.5 laps to go, ppppsssssssssttttttttttt puncture!! Luckily not me, although my heart was in my mouth for a few moments! We continued to work together for the first half of the final lap, as our gap on the field had come down quite a lot whilst we messed about trying to drop each other. A chase group of perhaps 5 people crossed the line not long behind us, and must have been the reason for the decreasing time gap we had in the last few laps, with the bunch coming in somewhere behind them. You'll have to ask Tom S for a more detailed report of how his race played out in the bunch, but I hear he did a lot of work policing the bunch." "Weather looked promising enough and unlike the last race out that way where we got lost on the way and ending up doing laps of Guildford in the car, myself Natalie and Tom arrived in plenty of time so got to drive a lap of the course. The course uses part of the Alford circuit in reverse, 8 laps, with the finish turning off the circuit, up the hill and about 100m of flat to line and with the hill a bit steeper thought it would find a few people out. The race started with a loud bang, a Kingston Wheeler puncturing in the car park before we rolled out so that meant he would sit out the first lap. As everyone else looked around for something sharp to do the same we set off and had cunningly placed ourselves behind the lead car for the first neutralised section. Number 14 (no idea who he was) decided to forget about the neutralised section and chase the lead car out of the car park and clearly wasn’t waiting for the rest so Natalie was on his wheel. After a bit of wondering what he was doing and if he was going to slow down, realised he clearly wasn’t so myself and Tom got up with him. The lap proper starts up a hill/drag for the first 3rd, was generally flat through the middle and mostly down on the back of the lap. Number 14 set a pretty decent pace all the way up the hill but was clearly pretty puffed by the top so I went to the front. 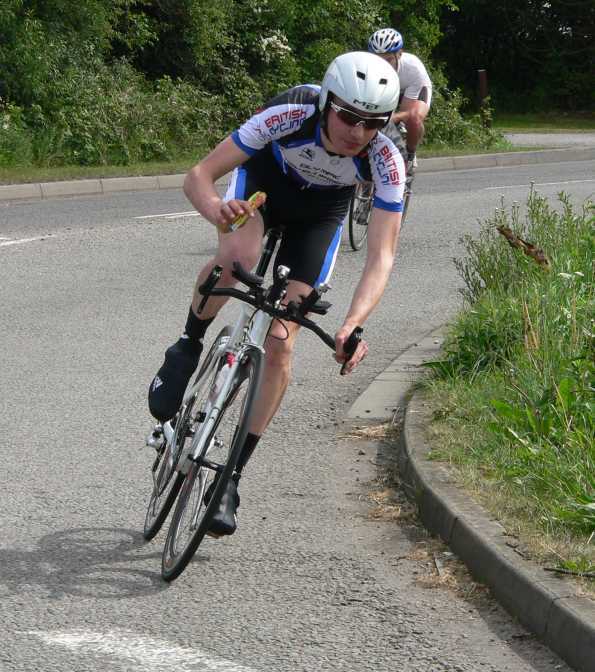 I then heard a shout from Tom that we had a TCC break of three off the front about 3 mins into the race. Not sure how it happened but we tried to keep the pace up to see what would happen. Not a lot was the answer and we were all soon back together so just worked on trying to stay near the front and do the odd turn to keep the bunch shifting. It all gets a bit blurry after that. I had a couple of digs up the hill on the second lap as did some others (number 14, some guy from Bikefood) but it wasn’t until about the 3rd lap anything got away. And it was on this lap I saw Tom by the side of the road mending a puncture so that was his day over. They built up a bit of lead but were generally in site, it then started to slow up bit and they gained some distance and someone else seemed to sneak away. I thought i would try and do the same out of a corner 1/2way through the lap as it seemed like a decent place to get a gap and a nice smooth road which half worked until looking up the road there were some horses so had to slow. As soon as I was past them has another few goes and was looking ok until there was another horse. This next one clearly wasn’t a fan of cycle races and got pretty excited. I snuck past and then it started bolting so the bunch pretty much seemed to stop. It didn’t really seem right to go on the attack after that (although it was a good bonus for those still up the road – not really sure what the etiquette is?) so I waited until people were back with me and sped things up before doing much more than free wheeling. With it all back together it seemed to slow up a bit and I think people thought that with the interruption the break would stay away. Coming round the next lap some of the marshals called out the time gap and it was only a minute which seemed to spark people back into life at that was easily catchable. The bunch seemed to be closing the break up and was quite happy to sit in for a bit and recover from the efforts to jump away which were taking their toll and slipped towards the back and suddenly found myself at the back but didn’t see Nat anywhere. It turned out with the horses etc and then the downhill (fat men have an advantage over skinny girls in the downhill) the bunch split a bit and she just found herself on the wrong side of it. Time to move back up for the last couple of laps. It was clear we were going to catch the break, and they were all reeled in with about 1.5 laps to go. Suddenly then some Dynamo’s entered the race. I knew they were plentiful on the start sheet but thought must have all got lost on the way there as I certainly didn’t see then doing anything for the first 6 laps. It got quite tasty in terms of the pace then. Some people still trying to get away and then with half a lap to go it all slowed up again. I always hate this bit as it starts to get nervous, people are all over the road so it was time to get up as far as I could and then found myself on the front and it doesn’t matter how many times you flick your elbow no one is coming through so slowed up. I dynamo and Big Foot guy then bolted and their mates did their best to get in the way. Someone else went and it all came back together so was down to the sprint finish. Not a great time then to start getting cramp in my quad. Dropped back a few places so was probably about 25th at the bottom of the hill. It was a right hand turn to the finish so a bit hairy as the traffic was stopped further down the hill then I think people thought so had to knock some speed off. Tried my best up the hill without going so hard I cramped so that my leg wouldn’t move. Gained a couple of places, lost a couple and finished 23rd. Think I started to far in the finish back but seeing the results later a Mule bar Guy won it and I know he went flying past me at the bottom of the hill so obviously just saved himself. It was then Dynamo 2nd and 3rd. From the results however it was 55 miles in 2:18 which I make nearly 24 miles an hour which seems pretty fast to me so some good training, some lessons learned (I think the moral of the story is, check your inner tubes, watch out for horses, do less efforts, drink more and save it for the sprint!) and we’ll see what happens next time." Last Weeks' Surrey Rumble will be featured in the Cycling Weeky due out on 25th March, and also in Cycling Active due for publication in May.